MANILA - Twenty people on their way to church perished in a Christmas Day collision in the northern province of La Union, as high vehicle volume during the holidays amplifies the risk of accidents, analysts said. The road mishaps highlight the need for stricter enforcement of traffic rules and driver education, especially on minor roads where speeding is more likely, analysts said. "Sa atin kasi, during the holiday season talagang mataas ang traffic. (Traffic is higher during the holiday season). People are going around. It's quite established that the higher volume of traffic increases the chances of having more road accidents," said Jose Regidor, a professor at the University of the Philippines Road Safety Research Laboratory. "It's a combination of different factors coming into play. Maiiwasan natin yan if may maayos na enforcement (We can avoid accidents with proper enforcement)," he said. 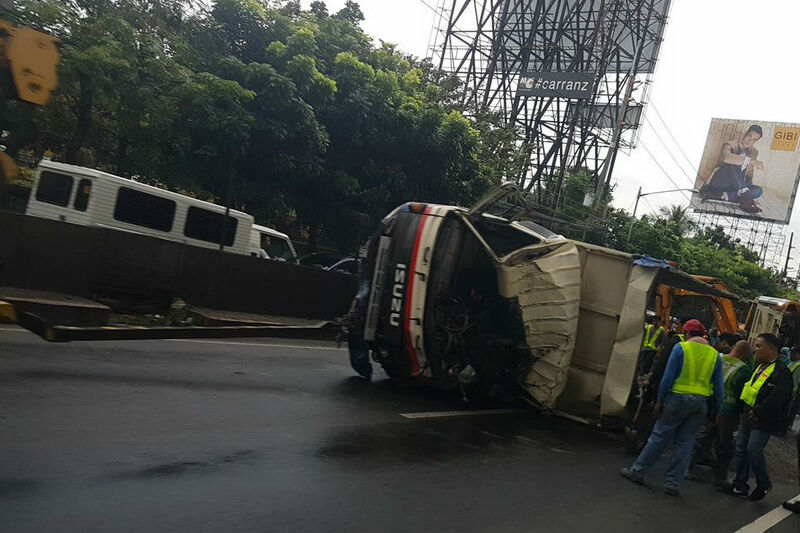 Aside from Christmas, road accidents are more likely to occur during the Holy Week break, he said. A jeepney fell from a cliff in Roxas, North Cotabato on Christmas Eve, killing 4 people and wounding 32 others. Also this week, 3 people were killed in separate road mishaps in Quezon City while 9 people were hurt after a bus fell from a ravine in Tagkawayan, Quezon. Drivers can be more careless during the holiday season, said Former Land Transportation Office chief Albert Suansing. "Talagang pinagtitiyempo lang ng pagkakataon na marami ang nagmamaneho na talagang kulang sa pag-iingat," he told ABS-CBN's Umagang Kay Ganda. Most accidents on high volume roads are less likely to be fatal since vehicles usually move at a slow pace. Accidents there are more likely to damage property, Regidor said. Accidents on low-volume roads, however, tend to be fatal since vehicles usually run at high speeds, he said. Traffic law enforcement should also be the same for major roads and municipal roads, he said. "Kung yung driver natin safe lang magpatakbo siguro mas mababawasan yung aksidente," he said.